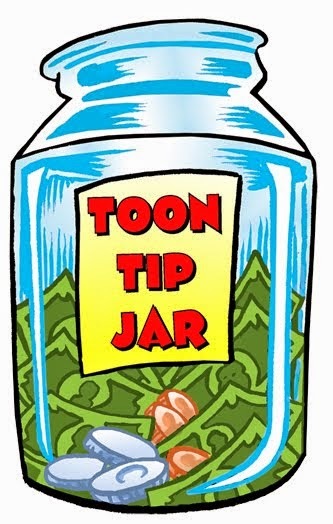 What Now Toons needs your help, please donate to help me keep drawing these type of cartoons. 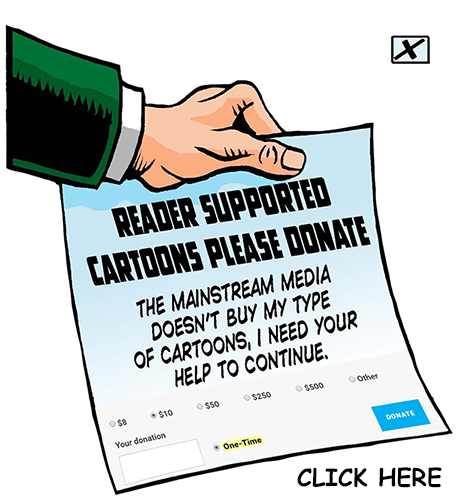 Regular visitors to What Now Toons will notice that the site has a fresh new appearance. A hearty thanks to web master Oliver Manuel at Global Client Services, to both create and produce our new Internet look. Oliver has been a big fan of "What Now?!? Toons" since its inception. With his marketing guidance and technical stewardship we intend to reach many more like-minded American patriots who agree that the corporate take-over of our government, our economy and our very lives must be turned back. We invite and encourage you to join us in our stand and with your voice. Oliver's company, Global Client Services, LLC is a full service internet marketing company providing email marketing and design, customer surveys, data-base marketing and management, website design and search engine optimization to businesses of all size. Check them out at globalclientservices.com - you won't be sorry. 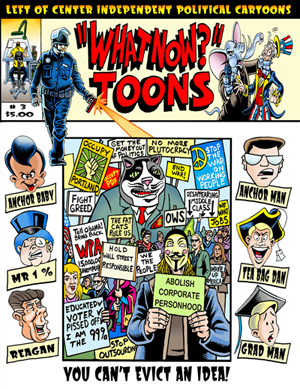 The third issue of What Now Toons is complete.With with publication the third issue of What Now Toons, I've made the jump to a full 8 1/2 x 11 magazine format. With expanded story lines of many of your favorite What Now cartoons and characters along with a few new faces and places. There's lots of new material you won't see on the website. Enjoy Keith's witty take on politics, teamed with hard-hitting no-holds-barred views on a variety of timely and timeless issues.